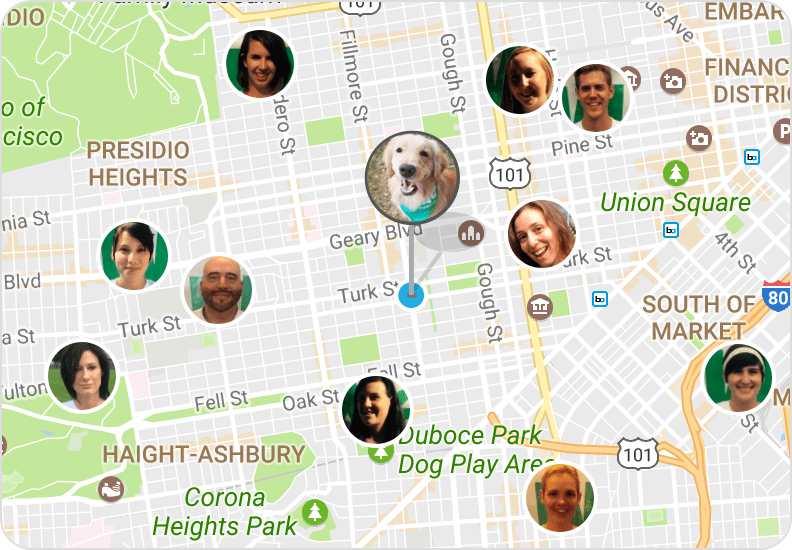 Dog Walkers in Mercer, PA - Dog Walking Near You | Wag! Mercer, PA is a pawtastic place to be a dog — and a dog owner! Dog-friendly restaurants, parks, hotels, and more are available in Mercer, PA and its surrounding areas, which means you won't have any trouble finding a doggie date destination! If your pup is more of a professional than a party animal, you'll find all the necessary amenities here as well, including veterinarians, groomers, and dog trainers. If Mercer, PA doesn't have what you and Fido need, you're sure to find whatever you're looking "fur" just a short drive away! Visiting off-leash dog parks is important for improving your dog's social skills and manners. Furtunately, Mercer, PA has 4 off-leash areas, but you can also find pawlenty of dog parks in Pardoe, PA, Springfield Falls, PA, and Jackson Center, PA! Not all dog parks provide amenities like drinking water and waste baggies, and some parks require a membership, so make sure to research the park you plan to visit before making the drive! Time to pamper your pooch to a paw-dicure? You'll find 68 hound hairdressers right in town! Need more options? More groomers are available in Cool Spring, PA, Pardoe, PA, and Springfield Falls, PA, located just a bone's throw from Mercer, PA.
No one likes going to the vet — especially not Fido! Still, it's good to know Mercer, PA has 91 veterinary services available in case of accident or injury. More animal clinics and veterinary hospitals are located in Cool Spring, PA, Pardoe, PA, and Springfield Falls, PA to keep your pal healthy and happy! If your doggo is destructive or just plain devious, obedience classes can help. If you're searching for obedience classes in Mercer, PA, look no further — you'll find 30 dog trainers right in town! Cool Spring, PA, Pardoe, PA, and Springfield Falls, PA also offer dog training facilities to teach your buddy good manners. Need a new cuddle buddy in your life? (Who doesn't?!) Mercer, PA has 8 qualified dog breeders where you can pick up a new pup for the pack. Never, ever buy a dog from a breeder that isn't certified with the American Kennel Club. Purchasing a dog from a puppy mill or a commercial breeding company promotes animal cruelty! All Fido's needs (and wants!) are taken care of in Mercer, PA and its surrounding areas. But what about the pet parents? You can't bring your hound along for your human errands, but you don't want to leave them at home alone. With Wag!, you don't have to! 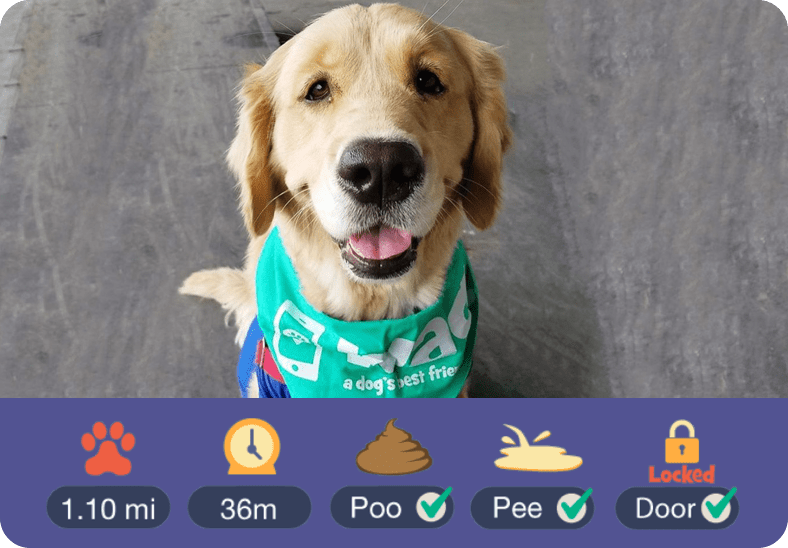 Book a walk with one of our thoroughly vetted walkers and you'll get photo updates, activity reports (including poo and pee notifications! 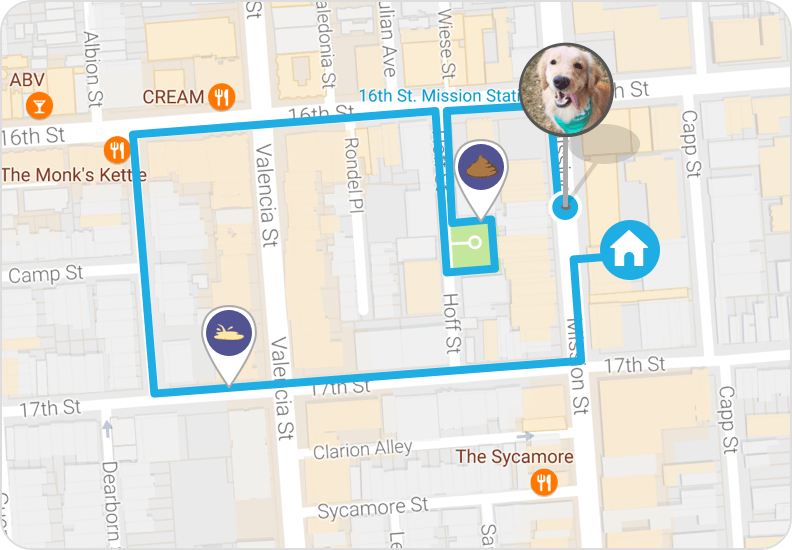 ), and a live GPS map of your pooch's walk.